HERE IT IS AT LAST!! 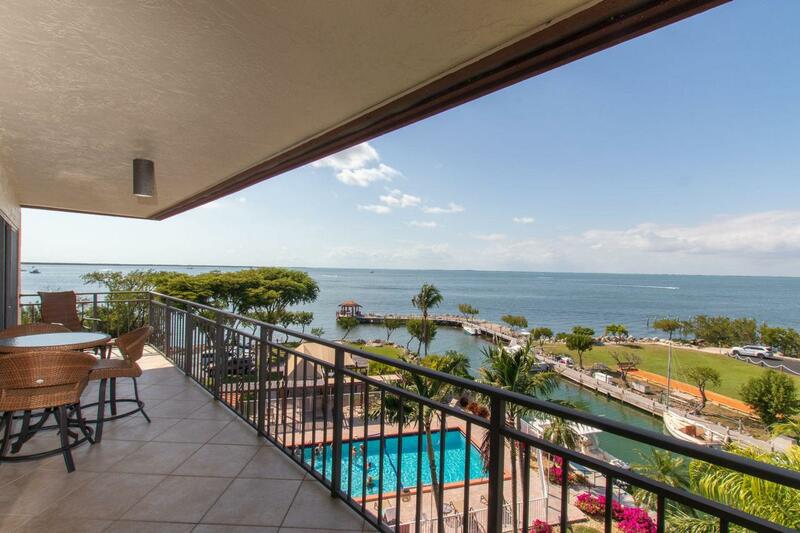 Only Gorgeous Bayfront Penthouse with 3 BDRS/2 Baths and unbeatable views in Key Largo! !Tamarind Bay Club is THE Premier Gated Bayfront complex with protected dockage (assigned boat slip up to 34 ft); 2 Pools; BBQ's; Tennis courts; trailer parking; boat ramp; only 50 units and quick commute to Miami.Building A is the BEST situated in the complex; closest to the water on south side.This unit boasts wrap-around porches for outdoor enjoyment of breezes and view!It has been beautifully and tastefully updated with same tile flowing through; crown molding; stainless steel and corian kitchen; granite top bathrooms; high end LED and dimmer lighting thru-out just to name a few.Water views from almost every room-Come enter and fall in love! Listing courtesy of Patrice Messina of Lokation Real Estate.